Hello! My card today is about celebrating and sending congratulations. I've selected the theme to be a birthday celebrating with balloons. The Inkadinkado stamp is a NBUS that I received sometime ago in a blog candy. I printed the balloons on white CS using a Silhouette file on the Cameo and stamped the words with Memento tuxedo black ink. 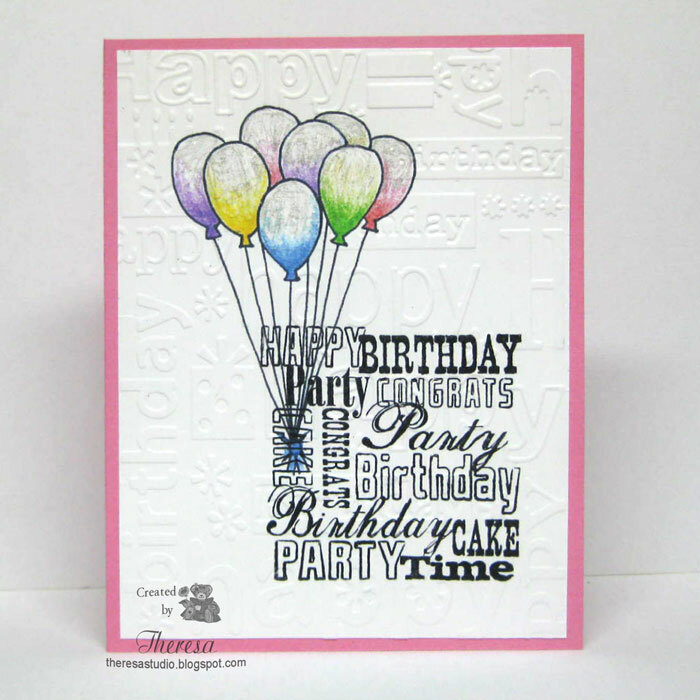 I then embossed this with Cuttlebug EF Happy Birthday and attached to a Pink card base. Added some sparkle to the balloons with Clearstar Pen. 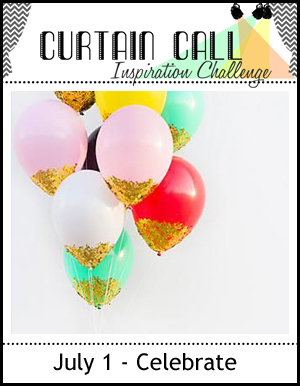 Curtain Call Inspiration Challenge: Theme is Celebrate. 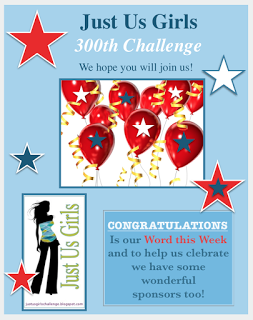 Just Us Girls Challenge: Word this Week is Congratulations. Congrats to JUGS on their 300th Challenge. 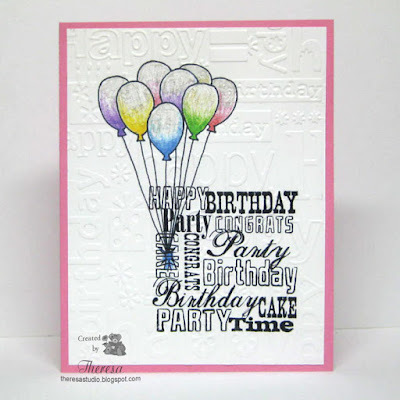 I love that embossed background with the block sentiment and balloons! Great design and colors. Thank you for celebrating our 300th challenge with us at JUGS! What a beautiful card, you did a wonderful job with this design. Love the embossed background and that fun block of birthday sentiments. Thanks so much for joining us at Just Us Girls! Fun colored balloons - Thanks for joining in at JUGS300! Great design and colors! Thanks so much for playing along with us at the Curtain Call! Very pretty! Thanks for sharing this week at Clear It Out’s Anything Goes Challenge. Such a FUN card! Thanks for joining us at CAS on Sunday!